I’m a lover of all things healthy. So, I love indulging on things that help me stay fit and gorgeous from the inside out. 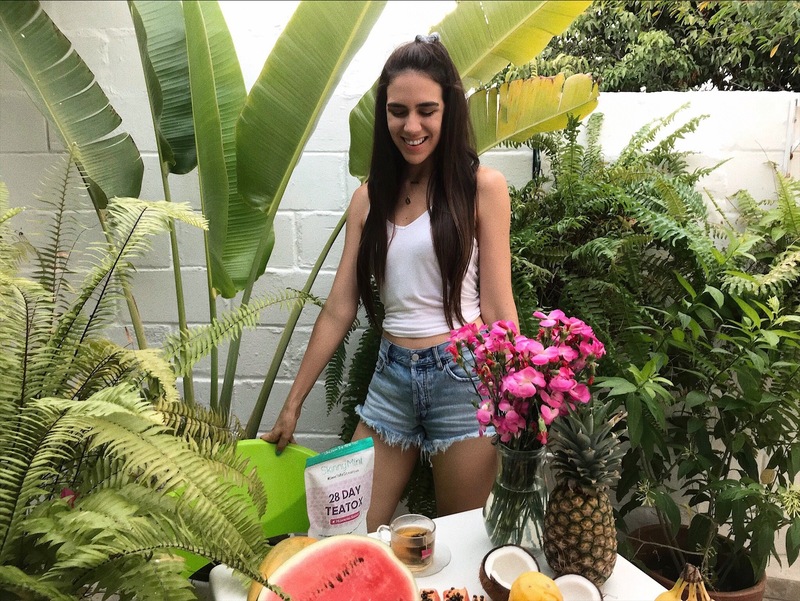 The things that top my list are all about a strong workout and a clean diet that includes mostly fruits, veggies, and vegetarian protein. I’m very proud to share with you angels that I’m very strict about what I eat. But shouldn’t we only eat things that benefit our bodies?! And, I truly find lots of happiness in nourishing my body with superfoods that not only boost me up, but also honor the earth. However, now that I’m visiting my home land, my diet is changing a bit as I don’t find all the vegetarian options I find in the US. Therefore, I’m eating a little more pizza and a little more bread than usual and a few other things like ice cream too. But, there are some things that will never change and those are pictured below, Yay! 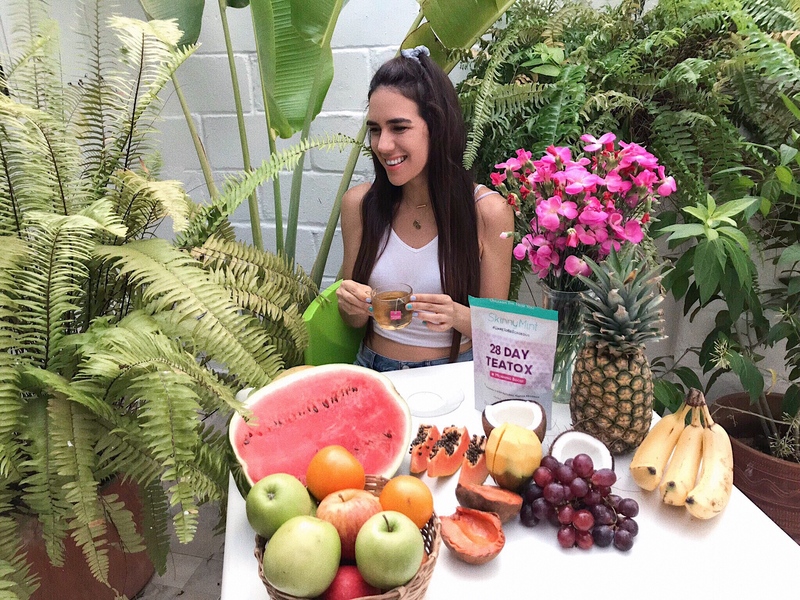 Lots of fruits and my 28 Day Ultimate Teatox by SkinnyMint. Aww, it was such a smart idea to pack and bring with me my beloved SkinnyMint Teatox as it gives me all the summer feels. 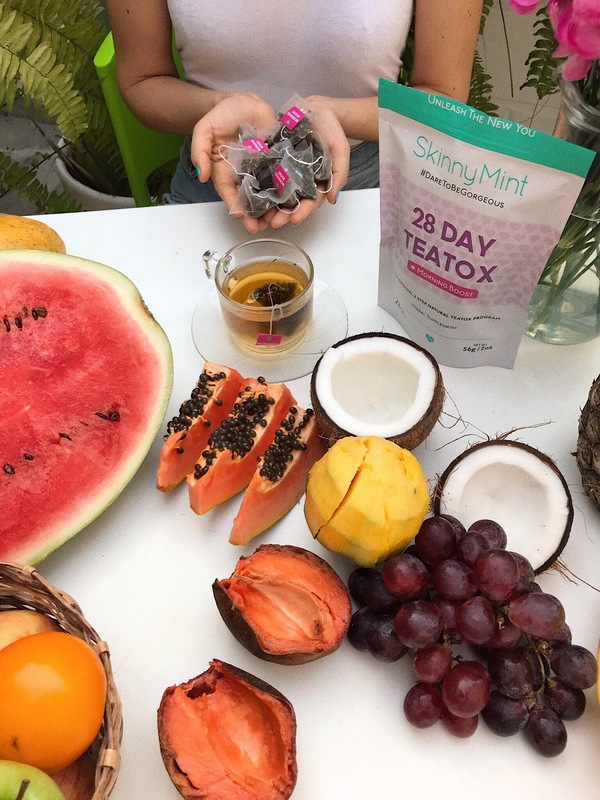 SkinnyMint Teatox is an awesome two-step detox tea and it’s the best to cleanse my body and boost my energy levels. I usually have the Morning Boost along with my breakfast. Yasss, it’s so tropical and fruity! Ginger Root – anti-bloating, digestive aid, aphrodisiac. Lemongrass – relaxant, pain relief, anti-bacterial. Senna Leaves – natural laxative, anti-bloating, weight loss. Peppermint – anti-bloating, digestive & colic relief. Licorice Root – antacid, soothes menstrual cramps. Hawthorn Berries – circulation, anti-anxiety, digestive. Psyllium Husk – natural laxative, promotes colon health. What an amazing program! I can how well this work for you Hadasah. Thanks for sharing. I am not a big fan of tea, but I am a great fan of fruit and right now, sitting at the desk at work I would love to eat the watermelon you have there! 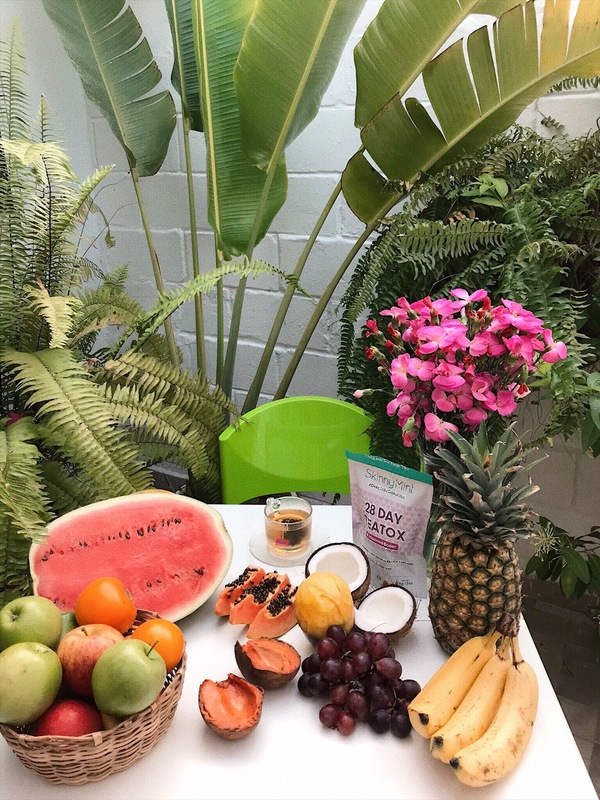 Love everything here…bring on the vitamins and minerals in fruits. I don’t usually do detox but I feel I should! I love eating healthy especially in the summer, but I still love my bread as well. LOL! I love good tea and could really use a good tea detox after spending a few weeks eating everything on holiday! I love your photos and outfit!!! Great styling as always! I love eating healthy and I feel like it’s so much easier in Summer with all the great fruit options.